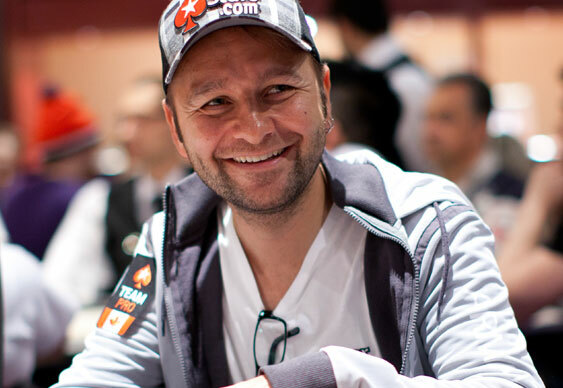 Daniel Negreanu scooped two titles last night after he took down the WSOPE's €25,600 High Roller. After lining up alongside 80 world-class players, Daniel was able to bank his sixth WSOP bracelet after defeating Nicolau Villa-Lobos heads-up. Yesterday's finale began with 13 players vying for the title, but by the time the final table of eight was set it was Daniel who had the shortest stack. However, with another final table under this belt he could already begin celebrating as it meant he'd captured the 2013 WSOP Player of the Year title. With confidence and the rail on his side Daniel soon overturned his chip deficit and after the likes of Erik Seidel, Jason Koon, Scott Seiver and Timothy Adams had hit the rail he began his run for the title. Four-handed play would last for 30 hands before Villa-Lobos dispatched with David Peters, before Daniel cast aside perennial High Roller finalist, Philipp Gruissem. Daniel's elimination of Gruissem gave him a 2:1 chip lead over his heads-up rival but within a few hands that lead had been lost. That setback didn't seem to deter Daniel and after rallying he regained the lead before clinching the title after his pocket jacks held on to its advantage against Villa-Lobos' pocket fives. With two poker accolades under his belt a jubilant Daniel thanked the crowd before taking to tweeting his thoughts: "Thank you ALL for your support- I WON! I am on cloud right now and love each and every one of you. Even those of you who hate me haha :-)"